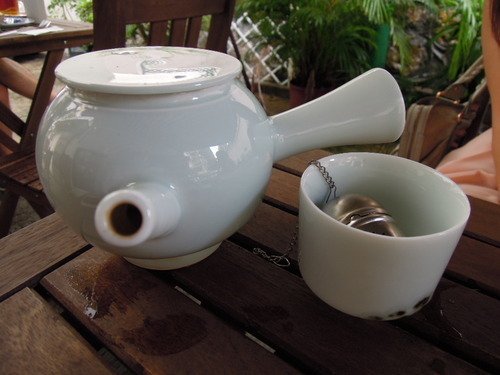 Tucked away in the hip corner of Sheung Wan, Teakha is a lifestyle concept tea cafe & zakka store, which aims at promoting a “sustainable, happy lifestyle”. 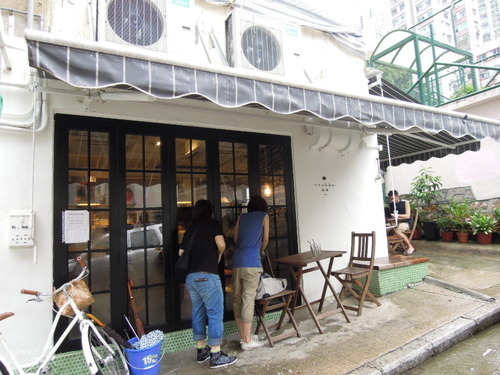 It was opened in the beginning of 2012 by a Hong Kong girl called Nina who loves making teas, and it serves a lovely selection of daily cakes and unusual, organic teas sourced from all over Asia. The space of Teakha is tiny, with only 2 tables indoors and some extra seating outside. With natural, rustic adornments and walls painted in a peaceful olive shade, Teakha has captured the hearts of many girls and reminds me of the cosy cafes in Taipei. 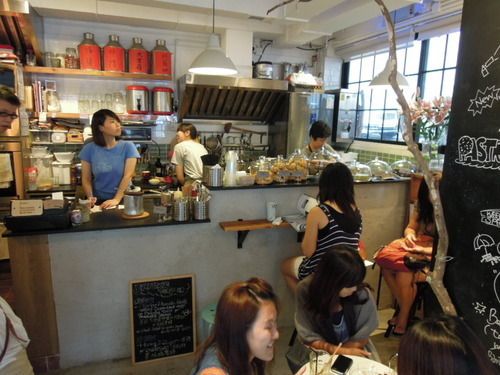 As the cafe provides food made in an artisanal way, you will see the staff busying themselves with brewing tea and making pastry in the tiny kitchen. (1) We started off with a freshly toasted Sandwich ($80), with tomato & avocado, basil, salsa & scrambled eggs. The sandwich was delectable, with the Brioche toast being satisfyingly thick and buttery, and the tomato & avocado creamy and refreshing. 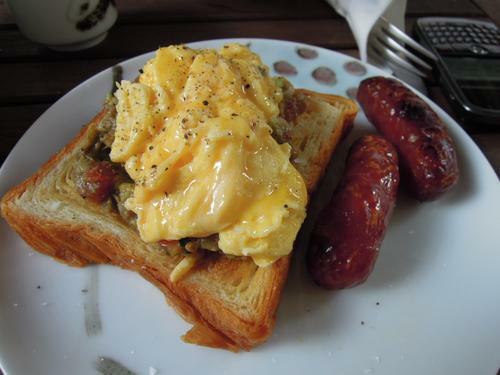 The egg was perfectly scrambled and was enticingly runny, and the Taiwanese sausage was mildly sweet and deliciously crunchy. (2) The Scones come in 4 flavours – plain, roselle, ginger and fig, and I went for the last option. 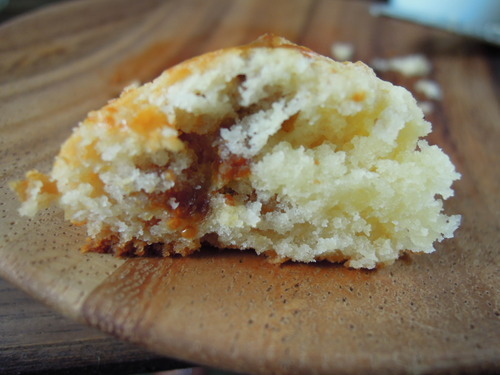 The fig gave the smooth and buttery scone a bit more bite, and its fruitiness was invigorating. This soothingly warm scone was the perfect treat in the afternoon. (3) In Teakha, I have discovered the best salted caramel ice cream in Hong Kong! 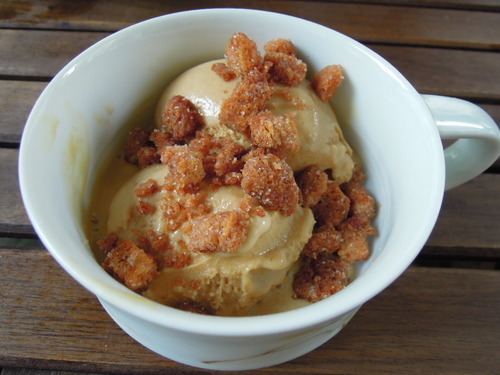 The dessert was scattered with moreish cinnamon toast crunch, which was a perfect complement with the thick, decadent, melt-in-the-mouth ice cream. That little bit of saltiness went a long way, and gave the dessert much depth. 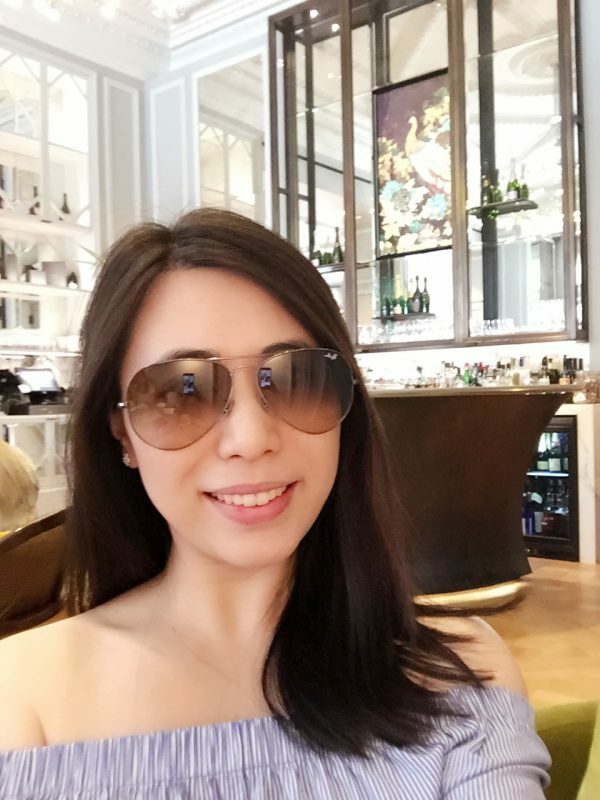 Conclusion: When I went to Teakha on a Saturday, I found it impossible to relax when the restrained space was absolutely heaving, but I can see how, during the week, it is one beautiful restaurant which dazzled Hong Kong-ers could seek sanctuary in. The portions were small (even for girls), but this could be forgiven as everything was organic and tasted divine. 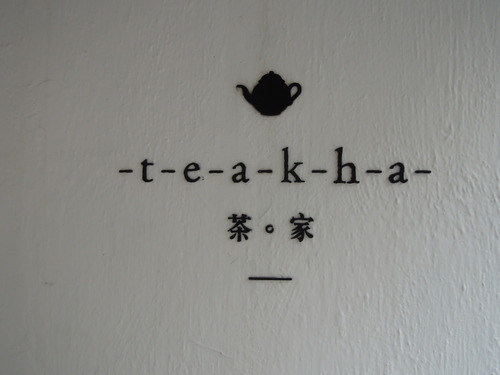 All in all, the artisanal tea and the freshly-made-on-the-premises food make Teakha an incredible gem of a tearoom.